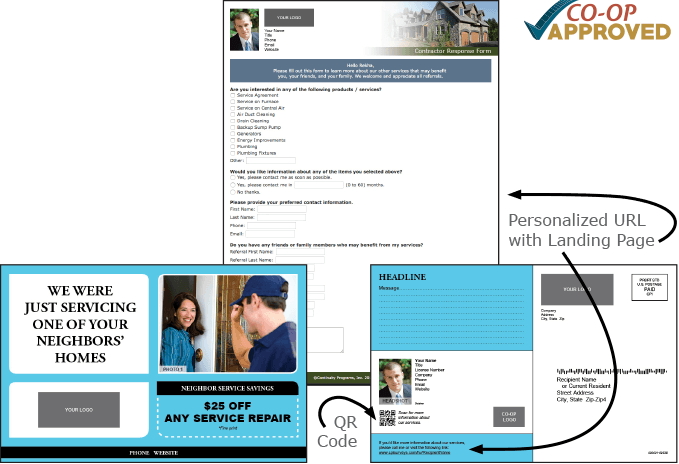 Request a free demo today to learn about residential HVAC CRM software with automated customer retention marketing! 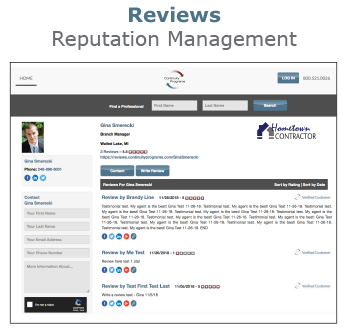 Meet the simplest residential contractor CRM software. 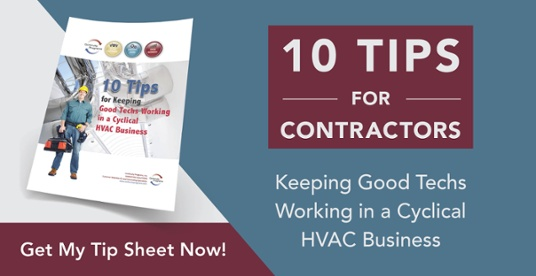 Gain the key to growing your HVAC business. 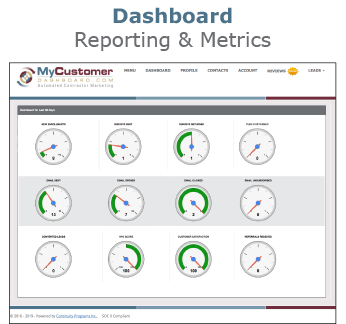 Protect your customers from the competition with MyCustomerDashboard. 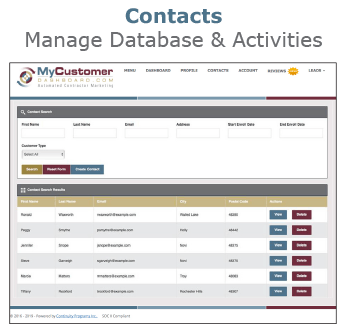 It’s fully integrated with the most powerful contractor marketing campaigns and allows you to follow-up with contacts effortlessly. 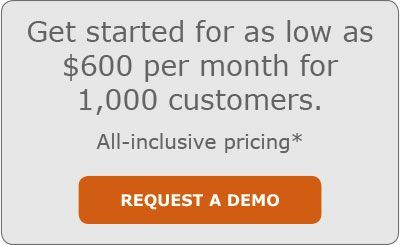 The easy-to-use HVAC CRM helps you save time and money with automated campaigns. 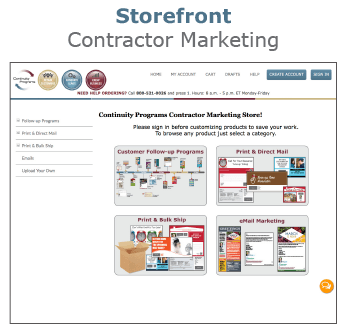 It also generates leads, referrals, and testimonials for contractors. You will realize three times more repeat business and 5+% more referrals. Most importantly, you’ll retain customers for life, while measuring and monitoring customer satisfaction. This is where it all comes together. 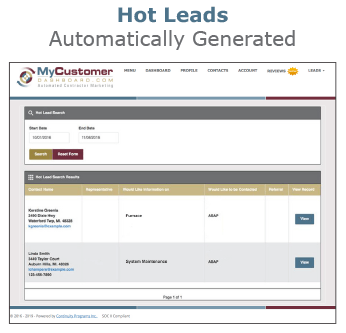 This intuitive, cloud-based CRM allows residential HVAC Contractors to keep track of their database and automatically generated leads. Make sure your customers don’t forget you when they need service! *No extra charge for printing, postage, mailings and emails! Pricing includes all Thank You Cards, Postcards, Renewal Cards and Emails. 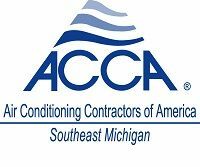 Turn-key system for residential HVAC Contractors. 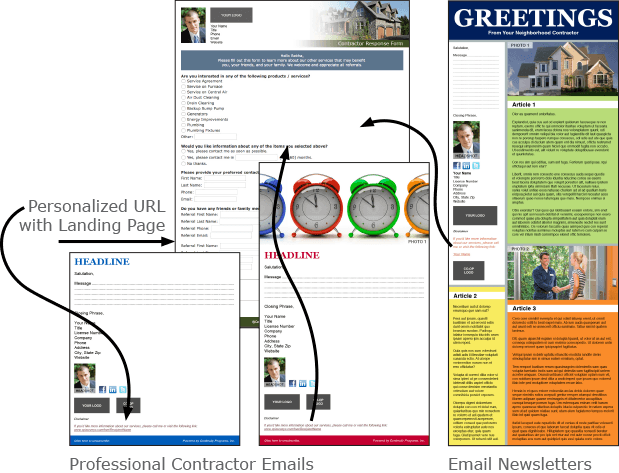 ½ direct mail, ½ email. 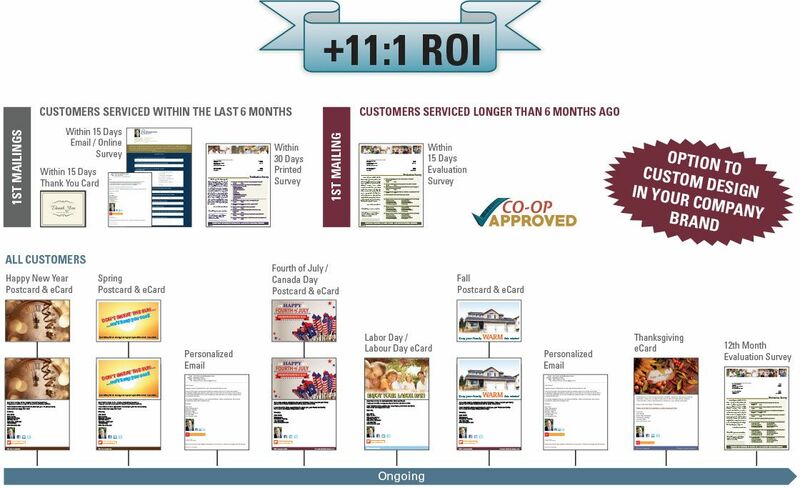 Communicate with your customers, promote your maintenance plan, and cross-sell other services. All leads are exclusive to you and emailed to you daily. 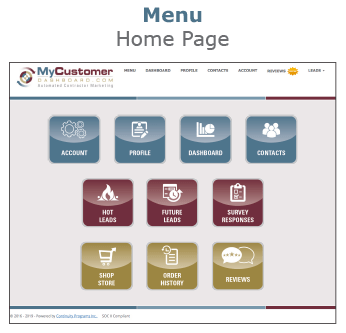 Automatically stay in touch with your customers. Sell more services and equipment during off-peak seasons. *No extra charge for printing, postage, mailings and emails! 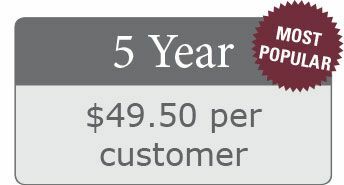 Pricing includes all Thank You Cards, Surveys, Postcards, eCards and Emails. 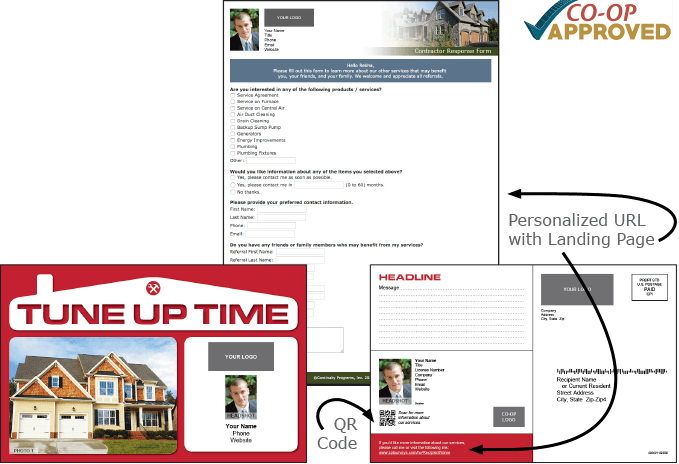 Target the neighbor proximity of your recent customers with eye-catching radius mailings. Our library of designs include QR Codes and personalized URLs for online lead generation. Free recyclable UV Coating! 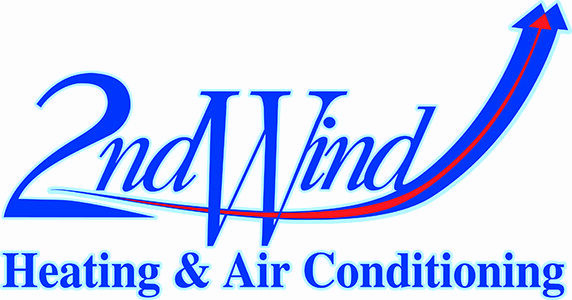 Personally thank your customers and ask for their opinion after the service or install. The third-party survey generates honest feedback along with a steady stream of referrals and testimonials. Keep in touch and generate leads from your contact list with easy email marketing.